Autumn is upon us and Southampton Boat Show starts this week indicating that another sailing season is drawing to a close. If you are visiting the show with a view to getting quotes for new sails, please bear in mind that we would be very happy to quote as well and will match any similar quote. As well as the quality of our sails, covers and canvas work, we pride ourselves on our service and commitment to our customers and, with a number of changes happening this year, we thought it would be appropriate to give you an update of our progress. The 2017 season has been a very busy and exciting period for the company. Turnover continues to increase and we are building up our sailmaking activity. There has been a change in the team with Richard Bowers joining us on the 3rd of April. After an 18 year break from sailmaking is relishing the challenge. He began making sails with his brother Adam at Blue Peter sails in Weymouth in 1983 and over the years until 1999 worked for sail lofts such as Lucas, North, Relling, Sobstad , Hot wave and a two year stint in Hong Kong with Neil Pryde. 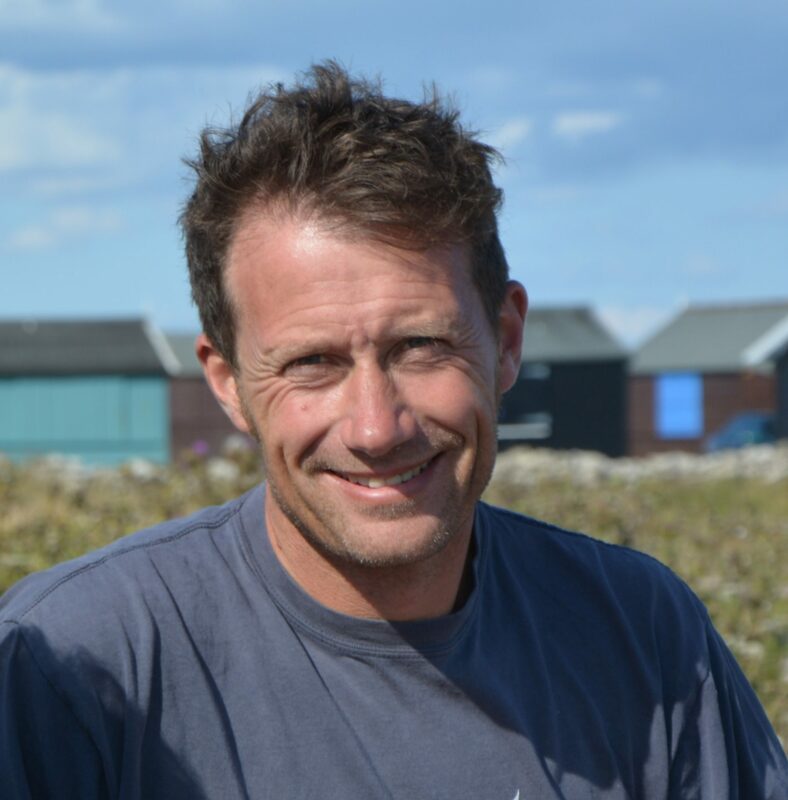 Richard’s knowledge and experience includes Offshore racing, One Design racing, Cruising and windsurfings and this has allowed us to bring our sail design ”in house” giving us greater control over our production. Since joining us Richard has been busy designing and making sails for both the cruising and racing markets. Here are a few of his impressions of how sailmaking has changed in the last 18 years. Firstly I have to say my return to sailmaking has been a very exciting journey. Leaving the perceived security of the Ministry of Justice was quite a big step however, the last 6 months have convinced me that it was the right move. Fortunately for me the sail design software, SMAR Azure, used at Moatt sails is based on the code of SMSW which is the system I first used in Hong Kong with Neil Pryde. I had kept my hand with a bit of design work here and there so the transition was smooth and with the plotter software being familiar too so I was able to hit the ground running. My first sail after 18 years being a roller furling yankee for a Rival 41. Phew! a fairly large sail to get back into the swing of things. Being able to design, plot, cut and sew the sails in a modern, clean factory unit means we can confidently produce sails which rival any sailmaker. The machinery that Moatt sails have invested in is a huge bonus. The sewing machines are all driven by stepper motors which produce maximum power even at low speed. This allows for much more accurate stitching and more control particularly when sewing through corner reinforcement and webbing. This produces a huge improvement to the quality of the finished sail compared to the old friction clutch machines of the past where we had to close our eyes and take a run up towards the thicker parts of patches, hoping that the stitch spacing would remain constant, that the needle would not break or the machine timing would not slip. An area where there has been a major improvement is in the realm of sail cloth. The materials available to sailmakers have improved immensely with many of the cloth manufacturers setting up new loom in China and retaining finishing plants in Europe. Consequently, the fabrics are now wider, flatter and straighter then in the past. The number of new material combinations is impressive too. One which stands out for me is Vectran (or Vectron depending on the manufacturer) being a fantastic development. Vectran (Vectron) is a polyester based woven fabric with a pinstripe of Kevlar thread for added strength in the weft. This means we make cross cut sails that lighter for the same strength when compare to standard polyester (Dacron) fabrics. While this is beneficial all round it is particularly great for in mast furling sails. 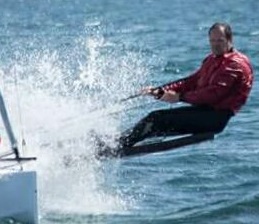 Here the reduction in the bulk allows for easier furling. When it comes to larger sails there are also fabrics which include Dyneema in the weave. Again these give huge improvements in strength to weight ratio whilst being extremely durable. For the racing market there are fabrics designed for specific purposes. I have been really impressed with the One Design Laminates from Dimension Polyant which we have used to great success in the International Canoe, Scorpion ,Osprey and we are currently developing a new Radial cut Phantom mainsail design using ODL 4.5. The Cruiser racers have some nice options available to them too. These range from Polyester based laminates from hard wearing Cruise Laminates through to Carbon Sport with Lite skin laminates which produce incredibly strong, long lasting sails suitable for club, regatta and grand prix racing. All things considered it has been an exciting re-introduction to the world of sailmaking and I am looking forward to the Autumn and Winter period when we can develop further in readiness for 2018. 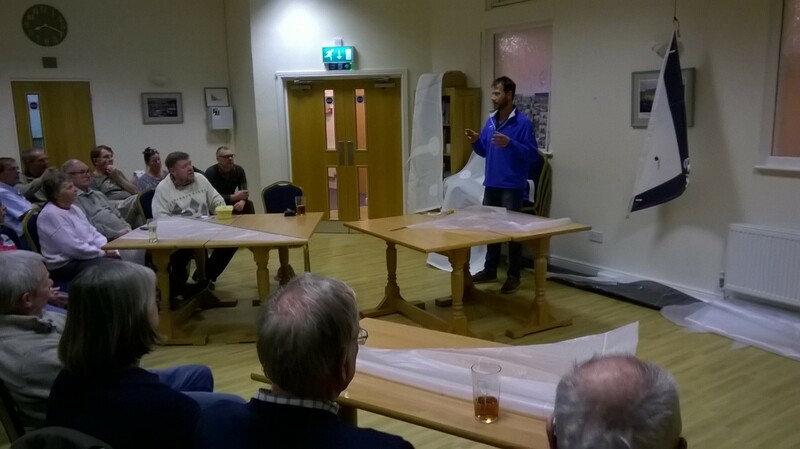 Last winter we embarked on a winter talk programme bringing the experience of sailmaking to sailing clubs in the region. This year we plan to repeat that and also offer some other topics to appeal to the varying needs of racing and cruising sailors. We have presentations from a performance based talk concentrating on tuning your rig for best performance and setting your sails to achieve the best sail shape to a talk on sails and sail care. Steve will also be offering a talk re-counting his adventure riding around Iceland (the country not the shop) in May raising money for Cancer research. If your club or organisation would be interested in having a talk from Moatt Sails please contact us.